If you’re looking to buy a SteelSeries gaming mouse you will have to dig deep in your wallet: gaming mice of SteelSeries or its competitors can cost more than you might be willing to spend. The SteelSeries Kana is different though – for under 50 US dollars you can get a gamer mouse with an excellent list of features from a renown brand like SteelSeries! 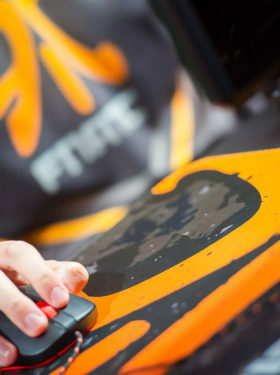 On top of that, this mouse model is used by eSports professionals in CS:GO or League of Legends throughout the world. Reason enough for me to take a closer look at this mouse from a gamer’s perspective in my SteelSeries Kana review! Check out the Steelseries Kana v2 on Amazon! SteelSeries’ Kana comes in the typical orange/black box the company is famous for. A nice little detail: the logos of famous eSports teams like Fnatic, NaVi or Ninjas in Pyjamas can be found on top of the box. When you open the box you won’t find much in there besides the actual mouse – no adapters, manuals or driver CDs. To be honest: you won’t need that stuff anyway. The mouse itself feels very good from the beginning. 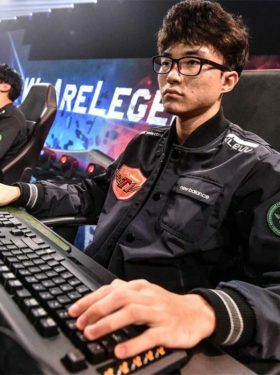 The build quality is excellent, just like we’re used to from SteelSeries. What impressed me most was the mouse’s surface: the slightly roughened material feels great and offers a better grip than the SteelSeries Sensei for example which has a very smooth and softer surface. Another nice little addition is the braided wire that connects the SteelSeries Kana with your pc to protect it from damage and wear during long online battles. The mouse’s shape is symmetric and medium-sized, which makes it perfect for most gamers’ hands. The Kana is slightly smaller than the Sensei but bigger than the Kinzu if you want to compare it to other gaming mice you might have used. For my own hands (medium sized) the Kana’s shape felt great; especially the slightly slimmer lower part of the mouse feels great when compared to the Sensei, no matter if you prefer claw grip or palm grip. The core of each gaming mouse is always its sensor that picks up the signal and forwards it to the actual computer or laptop. Since the second version of the SteelSeries Kana hit the market the sensor has been vastly improved: now your Kana will be equipped with an excellent Avago A3090 sensor that works „flawlessy“ – meaning that there is no artificial mouse acceleration or mouse correction. As a quick reminder: having a flawless sensor is one of the key requirements for a good gaming mouse! It can be used with different dpi rates (400 / 800 / 1200 / 1600 / 2000 / 2400 / 3200 / 4000) and worked beautifully during our extensive play tests. The mouse buttons are also quite nice: the new SteelSeries Kana v2 has Omron switches that are known for its awesome tactile feedback, as well as their durability. Even the quickest succession of clicks feels extremely precise and the feedback is awesome. All in all the SteelSeries Kana v2 comes with six mouse buttons: left click, right click, two side buttons (one on each side), mouse wheel and a switch for the different dpi settings. Yep, these are a few buttons less than you’ll get with other mice like the Sensei – but in exchange you get bigger side buttons which are way easier to hit. The mouse wheel (glowing in orange) feels very sturdy as well and allows very precise scrolling. SteelSeries Kana Test: eSports Action! Like every other gaming mouse we took the SteelSeries Kana review to two major eSports titles: League of Legends and CS:GO! In both games the transition to that mouse is quite easy. Especially in CS:GO the aiming turned out to be very precise once you got used to flawless sensors (you’ll never want to switch back, believe me). Even the quickest AWP flicks (360° noscope) are extremely smooth! 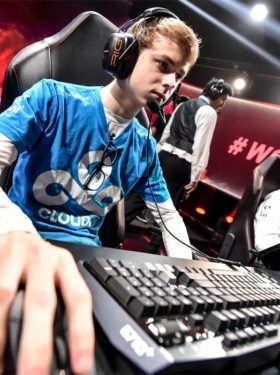 The flawless sensor also comes in handy when playing League of Legends as you have to click as precisely as possible as an AD Carry. The Omron switches have their advantages here as well. 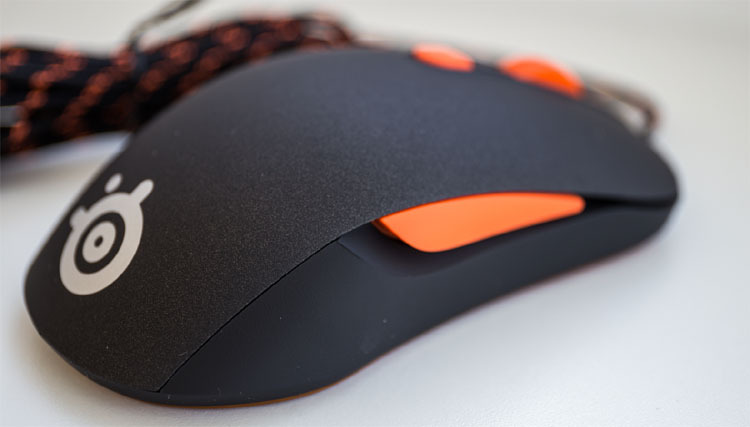 When playing longer hours (and don’t pretend you don’t do that) the mouse’s surface excels in our SteelSeries Kana review. The feel stays great throughout playing without having any discoloration. If you’re used to the SteelSeries Kana v1 – the upgraded v2 is a whole different mouse and you should definitely check it out! It’s very rare that a low-cost gaming mouse surprises you as positively as the SteelSeries Kana v2 just did. All the improved components compared to its predecessor are way better than what you can expect from other mice in that price range. Although it looks very simplistic on the outside and only has six mouse buttons, its inner values outscale that by far. 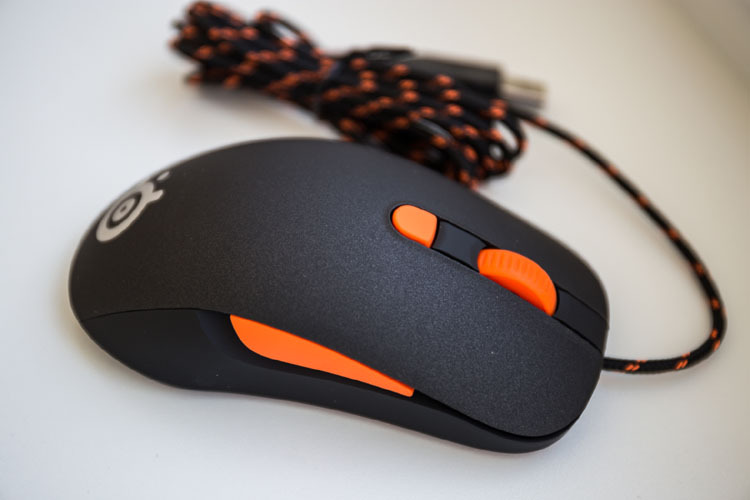 The SteelSeries Kana v2 is an excellent puristic gaming mouse with high-quality components. If you’re not willing to pay the price of more expensive gaming mice, the SteelSeries Kana v2 is a perfect weapon of choice and just as good!